Ahmed Salim, 32, a Palestinian living in the blockaded Gaza Strip, has to thoroughly check 100 shekel ($28) banknotes in fear of becoming a fraud victim again. Salim had suffered from fraud when he took his payment for a few days of construction work and could not use his cash as it was forged. 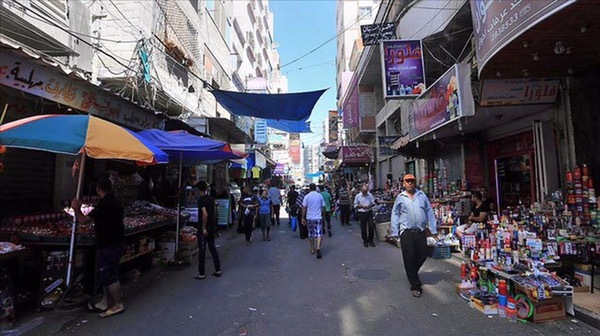 For Salim, as a Palestinian in Gaza, 100 shekels is a substantial sum of money, especially with the poor financial situation he suffers in a society with high poverty and unemployment rates because of the imposed Israeli blockade. Currency fraud has become endemic to Gaza, experts said. Gaza government statistics showed that $48,900 and 64,500 shekels were damaged in 2013, thus facilitating counterfeiting fraud. “Although currency fraud in Gaza is not an organized crime, citizens are concerned about it,” Ahmed Kalakh, head of the Ministry of Interior’s fraud department, told Anadolu Agency. Kalakh said the crime is not a “phenomenon,” but the use of “high-tech printers” has made it easier for forgers to operate.